Working at a music festival is great fun, you get to meet loads of new people and watch some of your favourite bands at the same time. What could be better! If you're thinking about working at a festival this summer, there's a variety of different organisations you can contact and submit your details to. The options really vary which is great as it means you can choose who to apply to depending on what you fancy doing, if you'd prefer to work longer hours but get paid or work less hours and volunteer your time, if you're after free food, want to work by yourself or in a team... To help you decide how to get into working at festivals have a read of the PAAM festival software guide below which includes many of the best companies and organisations to work and volunteer with at UK Festivals and Events. 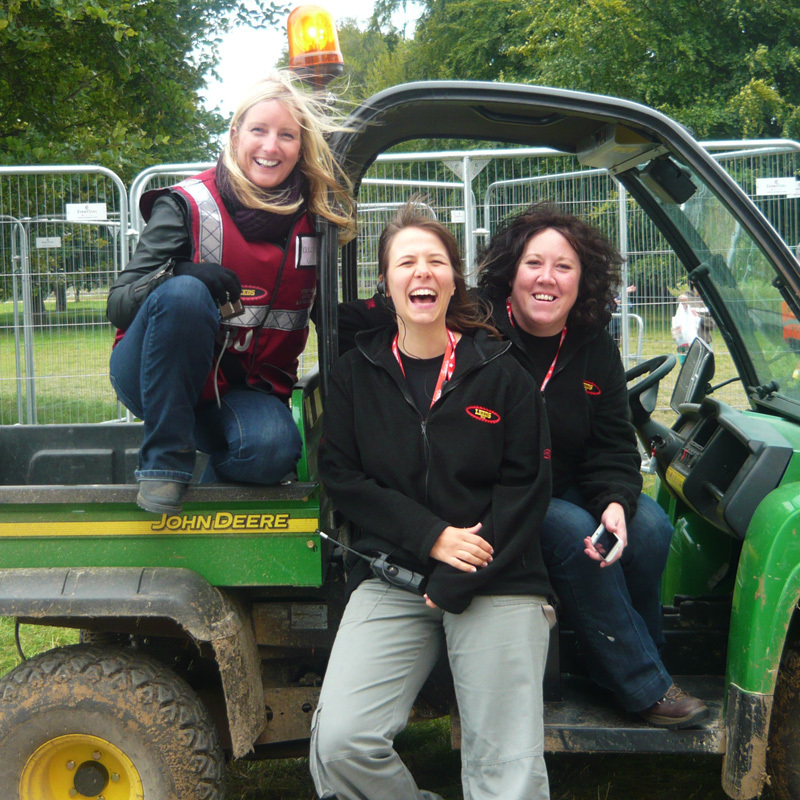 Hotbox Events recruits and manages event stewards and at some of the UK's best festivals. If you volunteer at festivals with Hotbox Events as a festival volunteer you'll be asked to work three eight hour shifts spread over the time that the festival is open to the public. In return for your work you'll receive a free festival ticket, camping in a secure crew campsite dedicated to the Hotbox team - close to crew toilets and showers! Because you only work three shifts, you’ll have plenty of time left to enjoy the festival too! Hotbox Events also has a paid event staff team on-site at each festival they work with - between 20 and 50 event staff, so if you're looking to volunteer or for paid event jobs Hotbox Events is a great place to start! Festivals you can work at: Download Festival, V Festival, Latitude Festival, Reading Festival, Leeds Festival. Nu Kleen provides cleaning staff and services such as toilet cleaning and litter picking to some of the UK’s largest music festivals. Nu Kleen don’t just provide staff for music festivals but also events such as trade shows, pub, restaurant and club based events, sporting events and seminars. Additional to their events arm Nu Kleen provides commercial office cleaning - this was actually where they started! So if you’re looking at cleaning as a career or would just like to earn some money and get into some festivals for free this summer Nu Kleen is a great place to start! BrisFest (Bristol Festival) recruits hundreds of volunteers each year to help with managing the festival. The volunteers get involved with all sorts including building the festival site, working as stewards looking after the public when the event is on and clearing the festival site after the event has finished. Every volunteer receives a free ticket to the festival, a free t-shirt and access to the festivals VIP areas. BrisFest also offers the opportunity to join their Core Team which meets regularly throughout the year; planning and organising everything from artists and décor to roadways and cabins! If its experience you’re after BrisFest also offers internships and work placements. Festivals you can work at: BrisFest (Bristol Festival). Festival Republic’s EHO volunteers monitor the sanitation on Festival Republic’s festival sites. The EHO posts are particularly suitable for students studying for qualifications in Environmental Studies or Environmental Health. Volunteers are responsible for inspecting campsites, guest and production areas for a build-up of litter, inspecting toilet blocks to make sure that toilet roll, signage and lighting is functional, inspecting hand-washing facilities and water points. Volunteers work three eight hour shifts or four six hour shifts during the festival. More info and details of how to apply can be found on the festival websites (rather than the main Festival Republic website). Festivals you can volunteer at: Latitude, Reading, Leeds, Big Chill. Festival Republic’s Green Messengers do exactly that – promote the green message to festival goers at Festival Republic’s festivals! The Green Messengers responsibilities include handing out bin bags to festival goers on arrival, informing the campers about the recycling initiatives – in particular asking people to take their gear home with them. The Green Messengers also manage the recycling bins throughout the festival sites – making sure the right stuff goes in the right bin! Volunteers give twenty four hours of their time during the festival for free entry, access to staff camping, showers and toilets! Again more info and details of how to apply to be a Green Messenger can be found on the festival websites (rather than the main Festival Republic website). Festivals you can volunteer at: Latitude, Reading, Leeds, Big Chill. Orange Festival Foods is a family run business that supplies catering services for event staff working at music festivals. Orange Festival Foods supplies everything from the chefs and serving staff to the kitchens, marquees, tables and chairs! Orange Festival Foods offers both paid staff and voluntary positions in the crew kitchens. The hours vary depending on the role and festival but all of Orange’s staff and volunteers receive free food whilst they are working and a free ticket to the festival. 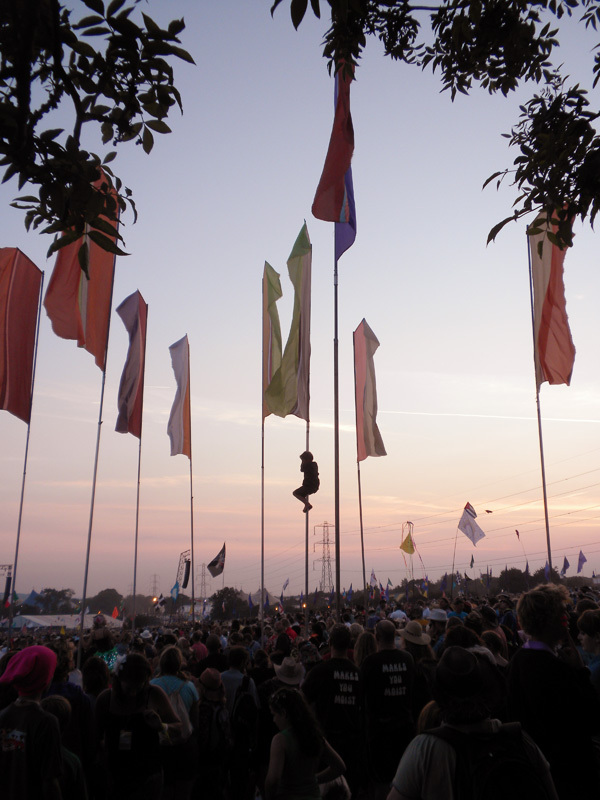 Festivals you can work at include: Glastonbury Festival, Latitude Festival and Leeds Festival. Event Medical Services (EMS) provides medical staff and support services to a wealth of music festivals and music events in the UK. EMS’ services include first aid, ambulance supply and staffing, trained medics, doctors and nurses, response vehicles and staffing, onsite treatment centres and first aid point supply and staffing. Additional to EMS’ festival arm the company provides medical staff and services to sporting events including track and field and extreme sports, exhibitions, motorsport, film and TV and air shows. Hi Marc, If you'd like to start trading at festivals you need to get in touch with the events direct and usually submit an application. Make sure you do this well in advance as the deadlines are usually a lot earlier than you might think. If you send an email through to the main festival enquiry address or give them a buzz they can then put you in touch with their 'trader manager' or point you in the direction of the application process. You should be able to find contact info on the website for each festival you're looking at getting involved with. You can find some example info about trading at Glastonbury Festival here. As it's such a large festival they have a well-established process - some of the smaller festivals may well work differently. Hope that helps and good luck! Hey, I am currently studying for a masters degree in International Events Management with the ambiton to work in music events specifically and wanted to know how to contact events organisers and companies to gain work experience and / or employment next summer. Any information would be graciously recieved. Patrick. Hi Patrick, Most event organisers and promoters offer work experience and voluntary roles, these give you the opportunity to make some contacts and prove that you can work well in an event environment. Both work experience and voluntary positions can and do lead to paid roles. You can try contacting a promoter such as Festival Republic (www.festivalrepublic.com) direct – the company that runs the Reading Festival, Leeds Festival, Latitude Festival, The Big Chill Festival, Hove Festival and more. You may well be able to gain an on-site assistant position, for example in one of the offices such as Production or Licensing. You can find Festival Republic’s contact details here www.festivalrepublic.com/contact/. Festival Republic also has a careers page which is worth keeping an eye on as jobs are often posted, you can find that here www.festivalrepublic.com/careers/. Another option is to apply to work with one or more of the contractors listed in the original post above – either as a volunteer or paid member of staff depending on the time you have available and the experience you're looking to gain. As with any industry the more experience you gain the more valuable you will be to an event and festival organiser. Although it sounds as though you're aim is to work direct for an event organiser / promoter, starting with a contractor is often an easier route in and will allow you to start making the contacts you'll need. It's unlikely the first few positions you gain will be your dream job but don't underestimate the importance of being in the right place at the right time! Best of luck! Hi Anne, Many event companies offer work experience placements although they are very sought after. You'll need to get in touch with the sound production companies (suppliers) rather than the festivals or promoters. For example Entec Sound & Light (www.entec-soundandlight.com). Call them, email them and post them your CV. If you don’t hear anything – do it again! The worst that can happen is they say they can’t offer anything. Have a search for similar companies – the more you approach the more likely you are to get a placement. We've also passed your enquiry to one of the large UK festival promoters and will let you know if they have any further suggestions. Good luck! Hi Anne, A follow up on the above - we've chatted with Festival Republic (the company behind the Reading Festival, Leeds Festival, Latitude Festival...) – they can't offer sound engineering placements as it conflicts with the intern arrangements they already have in place with Leeds Met. We're not sure if you're interested in any other areas of event and festival production? If you are you might want to check out the new internship and apprenticeship schemes that the Reading and Leeds Festivals have just announced for 2012, you can find out more info via the links below: 2012 Reading Festival Internship and Apprenticeship Schemes 2012 Leeds Festival Internship and Apprenticeship Schemes Again, best of luck. Is there any way to actually volunteer without signing up to things and putting huge deposits down? I swear you used to be able to just send your cv off somewhere and they offered you a volunteer position? Does anyone know any company that still volunteers the right way? I would be happy to pick litter for no money for 8 hours a day if I got to see some good bands! the deposit system doesn't give everyone a fair chance! Hi Ross, We've worked with festival staff and volunteer recruitment and management since the early nineties and also remember when things were different. The requirement for deposits became a necessity about ten years ago. Unfortunately, up to 50% of staff and volunteers were either applying but not bothering to turn up, or they were turning up and then running away into the festival or event once they had their crew pass. This leaving the company managing the staff or volunteers and the festival or event understaffed. It's a real shame. There are festivals and events out there that don't ask for a deposit, these are mostly outside of the UK though. That said, it is a trust thing – at least some of the UK companies only ask for a deposit the first few times you work with them. Hi Charli, Most of the festival and event medical teams take on medical students as volunteers. If you contact them direct they should be able to help. Try Event Medical Services (EMS) and Festival Medical Services (FMS). Best of luck! I just got back from download festival and while i was there i found myself thinking, I'd love to work at festivals as an electrician. I'v been an electrician for 5 years and am a keen festival goer, so wondered if there was any advice on how to get into it. Any info. would be great, thanks. Hi Gregg, Event and festival power requirements including the equipment and the electricians who look after it all are supplied by contractors. Two of the largest in the UK are Innovation Power Ltd and Aggreko Event Services. Try giving them a call or sending them an email and you may be able to join the team for all sorts of festivals and events! Best of luck! Hi, I'm volunteering for hotbox at Latitude in Bravo 1 team (great shift pattern by the way). I haven't got a clue what jobs I will be expected to do. Any ideas what I can expect. Thanks really looking forward to it. Hi Stu, Your best bet is to head over to the Hotbox Events Festival Forum or Hotbox Events Facebook Page where there are lots of guys chatting about working and volunteering at Latitude Festival. Many have been before – especially on the forum – so you can ask them what it's like! You could also have a look through the festival photo galleries. The Latitude Festival Jobs and Volunteering Page on the Hotbox Events website also includes lots of info about what you'll be getting up to. Hope you have a great festival! Come back and let us know what working at the festival was like! I'm a journalism student and I've just finished my second year at uni. I'm off to spain for a year but when I get back in July i want to have some fun at festivals. At the same time I feel I should be doing some work, ie internships etc. Any idea if there are any companies/magazines that pay for you to go to festivals providing you write reviews, blogs or things like that? Not looking for any pay, just want entry to some festivals and a bit of cv boosting at the same time. If you know if anything it would be great to hear! Thanks! Hi Charlie, I think you'd be lucky to find some magazines to pay you for writing festival reviews and previews. You could try getting in touch with magazines such as the NME and see if you can get an internship. Festival Republic (festival and event promoter) ran some internship schemes in 2012 at the Reading Festival and Leeds Festival, these included working in the digital and social media departments. We're not sure if they'll be running them again in 2013 but it may be worth getting in touch with all the events direct. 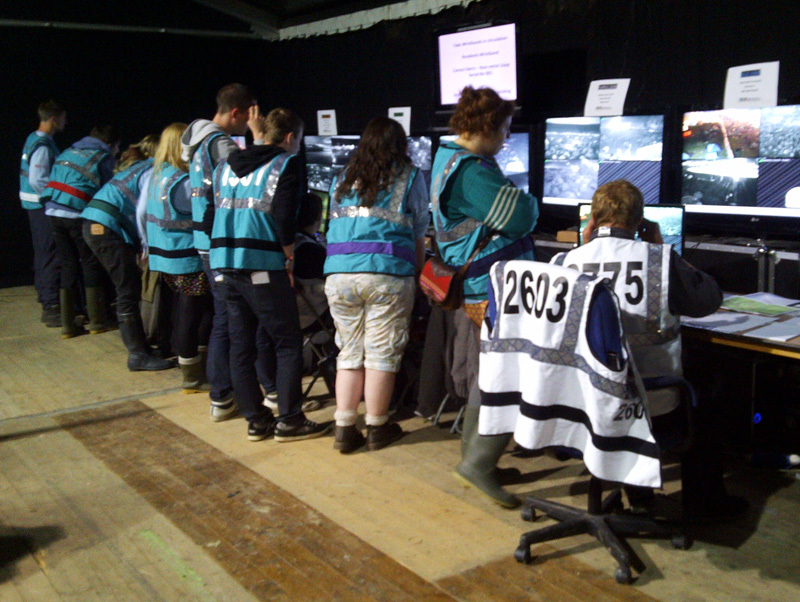 The easiest way to gain work at festivals is to volunteer with one of the many teams e.g. Hotbox Events' festival stewards. That'll get you in and give you the opportunity to make some contacts and ask some questions. Many who start working at festivals with companies like Hotbox Events end up working in other areas of the festivals after a year or two... Best of luck! Hi Sam, If you're looking for a festival and event AV placement the best place to start would be to contact the companies that the promoters bring in to supply the sound and light for the stages. For example Entec Sound & Light (http://www.entec-soundandlight.com). Have a search for similar companies – the more you approach the more likely you are to get a placement. Another way in would be to contact the promoters direct, many offer voluntary placements at events. For example Festival Republic (festival and event promoter) ran some internship schemes in 2012 at the Reading Festival and Leeds Festival - both schemes included production and onsite placements. We’re not sure if they’ll be running them again in 2013 but it would be well worth getting in touch with as many festival and event promoters as you can find. Some may help by pointing you in the direction of the AV suppliers they use and may even give you a contact there to speak with. Best of luck and let us know how you get on! Hi, I've got 3 years of hands on festival experience working in various job roles. I was wondering if you know of any of the companies Glastonbury festival sub-contracts it's event management work to; as I would desperately love a core role at Glastonbury 2013. Thank you for any help you can offer. Hi Juby, Lots has changed at Glastonbury Festival in 2012 – the operational management used to be split between Glastonbury Festival and Festival Republic. The Festival Republic interest in Glastonbury Festival was passed on to its parent company the Live Nation Group (LNG) in 2012. Many of those working on the operational side for the past ten years won’t be in future years. The creative side of the event management has always been run solely by Glastonbury Festival and continues to be. So as far as who is best for you to contact, apart from those listed above on this page, and on the Glastonbury Festival jobs page. You could try contacting Live Nation, although how much of the on-site event management they will actually be getting involved with is still unknown. A good way to make some contacts is to work for one of the many (40,000 in all!) contractors at the festival, once you've got your foot in the door you'll then have the chance to actually speak with staff on-site. Best of luck! Hi everyone, For all those thinking about setting up as a trader at festivals in 2013 the Glastonbury Festival 2013 Traders Application went live today! If you'd like to apply to setup a stall at the 2013 Glastonbury Festival you need to apply before the 17th December 2012! Head over to the Glastonbury Festival website for further details: www.glastonburyfestivals.co.uk/news/traders-application-form-now-open Hopefully see you there! I am looking to relocate to England from the US and am seeking employment in the festival industry. I have several years of experience working in Artist Relations. I've been thru all of the volunteer work experience of greeting, taking tickets, and more. However, I'm looking to make Event Planning a career choice, not just a few weekends a year choice. Any recommendations of production companies that are seeking long term employees? My only downfall is that I don't have formal education in event management. All of my knowledge comes from hands on training. Hi Jennifer, We'd advise starting by contacting Festival Republic, Live Nation and MAMA. Festival Republic (www.festivalrepublic.com) promotes and organises festivals and events such as Reading Festival, Leeds Festival, Latitude Festival, Electric Picnic, Hove Festival and Berlin Festival. MAMA (www.mamagroup.co.uk) is the festival and event management company that runs Lovebox festival, The Great Escape festival, Global Gathering, Escape Into The Park, Wilderness Festival, and Vintage Festival. MAMA also runs London venues including the HMV Forum, Jazz Cafe, The Garage, The Borderline, Heaven, G-A-Y and Barfly Camden. Live Nation UK (www.livenation.co.uk) you're probably aware of – in the UK Live Nation promotes and manage events all over the UK including Download Festival, Rock Werchter, many of the Wembley Arena and O2 concerts. Best of luck! My friend and i were looking to travel around the UK festivals this summer and work either in food or drink stalls, really just looking for any kind of work related to the festivals. Hi Natalie, All of the festival and event companies listed above offer work at festivals throughout the year. Many have online festival applications which usually open in Feb/Mar each year. Have a read through the post and check out some of their websites for further info. If you subscribe to their mailing lists, follow the companies on Twitter etc you'll be notified as soon as you're able to apply for the 2013 festival season. Best of luck! Hi, Myself and my Boyfriend have volunteered with Festival Republic for a few years now, we're part of the wristbanding team. This year we would like to fit more into the Summer. Do you know a way of applying for wristbanding positions at other festivals? Such as Glastonbury? Many thanks! 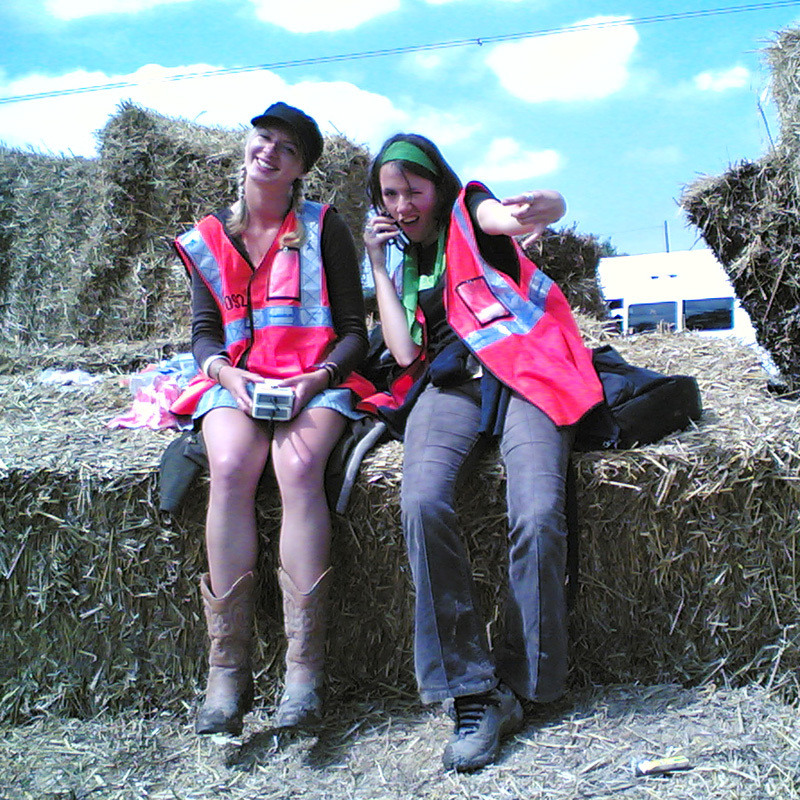 Hi Yasmin, At Glastonbury Oxfam provides many of the volunteer stewards including on the gates - about 1,300 volunteers in total! 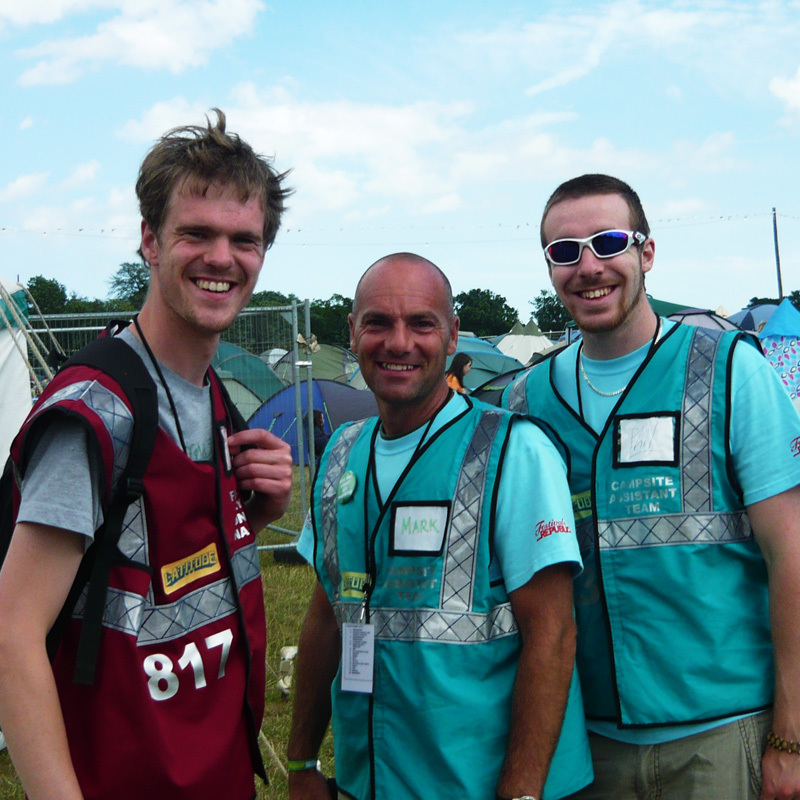 If you're looking for paid work DC Site Services provides about 550 paid staff to Glastonbury Festival including pedestrian and vehicle gate clickers (they count the number of people coming into and out of the festival site), caravan traffic marshals, fire tower staff and pedestrian zone marshals. Hope you get a spot! Hi Cara, Many of the event companies listed in the post above offer paid festival work. Some of the festival jobs you'll need experience and/or qualifications for but many you don't! Have a read through the post for full details but a few suggestions to get you started: DC Site Services Hotbox Events Seed Staff Peppermint Bars and Events CTM Traffic and Parking Hope you have a great summer working at some festivals! Hi there, I have a quick question concerning volunteering, and have been searching the net for 2 hours now without success: I was lucky to get a litter-picking volunteer placement for Glastonbury. However, I am now supposed to send in my National Insurance number, which I do not have, as I am an Austrian citizen, living in Austria. Due to European Union agreements, it feels like it should be easy to get the volunteering spot anyway, even without the number, but i cannot find any information on this. Do you have any idea what rules and regulations apply to citizens of the EU? Thanks in advance and all the best from Austria! Hi Chiara, There are strict rules about working and volunteering in the UK but as you're an EU citizen (and as long as you have an EU passport) you should be fine. For full details you can check this handy FAQ on the Hotbox Events website: Borders and Immigration - proving your right to work and volunteer in the UK Best of luck! Hi Angus, When companies are looking for promotional staff for festivals and events they often source via promotional staff agencies - the type that supply for events, shops, exhibitions, trade shows and so on. If you search for 'promotional staff events' or 'promo staff events' you’ll find lots of agencies - most have online application systems so you can keep up to date and apply for jobs. As far as which jobs are best for not missing any music, a tricky one as this is basically a 'perfect world' event job! The only positions that come to mind are the EHO (Environmental Health Officer) volunteers - I believe they usually only work during the day but you’d need to check. Not all festivals have them but you can apply online for an EHO position at the Latitude or Leeds Festival at the mo. Oh perhaps also the Green Messengers / Green Police - the volunteers who promote green thinking e.g. recycling. I’ve only ever seen these guys working during the day but again please make sure you check the deal before applying. Best of luck! Hi Kamila, Yes the majority of festival volunteering positions are for those aged 18 or over - usually due to insurance restrictions. I know that some litter companies and catering companies recruit volunteers aged 16 plus so those could be worth looking into. Your best bet is to contact the festivals direct and ask them who they use to supply these volunteers and then seeing if you can apply to volunteer for the contractors. Best of luck! Hi Will, It’s a bit late in the day to be trying to find work or volunteering at Glastonbury Festival - you can try the companies and charities below which all supply staff and volunteers to Glastonbury but it’ll probably be a case of joining a waiting list and keeping your fingers crossed. 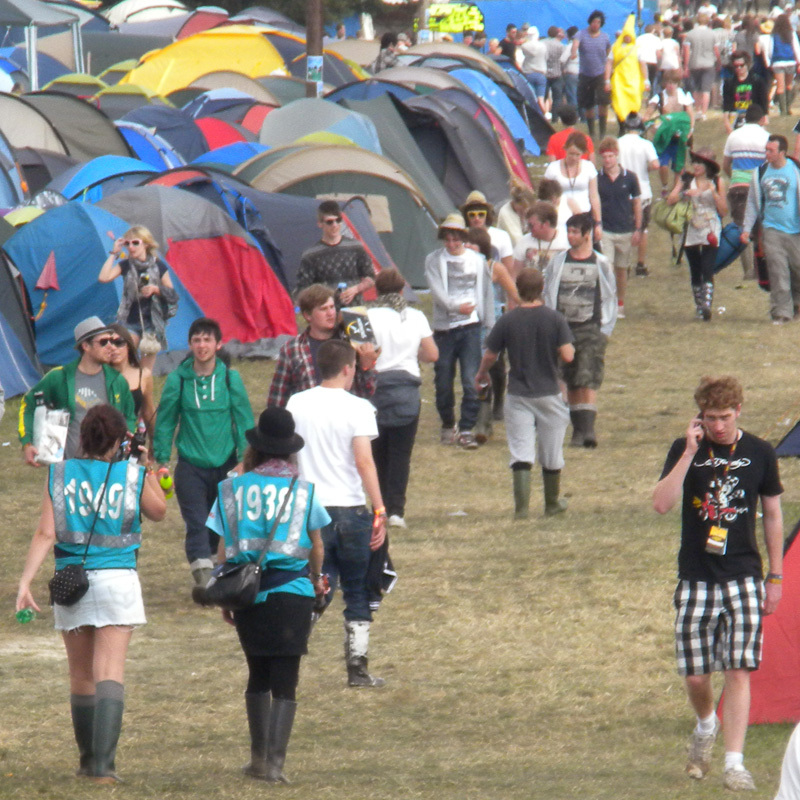 We work closely with DC Site Services so know they do have a Glastonbury waiting list set-up - they have around 500 staff and may well be your best bet for a late spot. DC Site Services Oxfam CTM Cash and Traffic Management Best of luck! Hello, I'm interested in your paid work for the festivals. I have bar ,cleaning & door supervisor experience. Thank you. Look forward to hearing from you. Hi Jackie, If you have a read through the post above many of the companies supply staff to festivals and events. If you follow the links to their websites you can usually apply on-line. Good luck! Hi i know its quite late but i am looking for some volunteer work at t in the park 2013 for a free ticket does anyone know if there are any jobs still going and if u do is there contact numbers for them? I will literally d0 anything lol. Thanks in advance and i hope someone can help. Hi Philip, Festaff recruit volunteers to work at T in the Park - if you head to the Festaff website sure you'll be able to find contact info. Best of luck finding a spot! Hi Jakub, All of the larger festivals and events usually have a dedicated 'trader manager'. You may be able to find the trader contact details on the event websites you’re interested in working with, if not contact the event or promoter direct and they’ll be able to put you in touch. For example you can find some example info about trading at Glastonbury Festival here. Make sure you get in touch well in advance as the deadlines are usually far in advance of the events - as you’ll see from the above the Glastonbury Festival trader applications are accepted October to December the year before the festival. Hope that helps and good luck! Hi Tim, All of the power and electrical needs for festivals and events - including the electricians who look after it all - are supplied by contractors rather than hired direct by the events themselves. Two of the largest event power contractors in the UK are Innovation Power Ltd and Aggreko Event Services. Try dropping them an email or giving their office a call to see if you can join the team! Best of luck! Hi, I'm really interested in working in the production side of things at a festival this year. I've been doing an internship with an events management company for the last 6 months as part of my college course and I've continually been volunteering my time in previous years at events across the country. Are there any companies in Ireland that could help me get a bit more experience? Thanks! Hi Ciara, As far as event management experience in Ireland, have you tried getting in touch with www.festivalrepublic.com? Festival Republic is the company that organises the Electric Picnic and Longitude Festival which are both based in Ireland. Festival Republic has run internship schemes at the Reading and Leeds Festival so may run the same at Electric Picnic and Longitude Festival. Best of luck! Hi Manuel, You should be able to pay your festival deposit via your Outlook and Dimensions PAAM account: https://outlook-dimensions.paamapplication.co.uk/outlook-dimensions/ If you have any problems paying your deposit you can find details for the Outlook and Dimensions festivals via the contact page of your PAAM account (top menu once logged in). Have a great festival! Hi Joel, Yes there may be. Often staff and volunteers for festivals need to be at least 18 years old but there is no harm in trying this year. For a role like this - where only a small number of staff or volunteers are required - it's best to try and contact the festival direct as the smaller teams are often handled in-house (rather than by one of the larger UK event staff and volunteer suppliers). If you head to the websites for the festivals you're interested in you'll probably find a 'get involved', 'jobs' or 'volunteer' page with contact details. Good luck! Hi Danny, There are a couple of festival medical companies listed above: Event Medical Services (EMS) and Festival Medical Services (FMS). Both work with festivals and events all over the UK and may well be able to help you with your research if you get in touch. You could also try contacting the festival organisers as they should all keep detailed records of all accidents and injuries onsite. As far as non-stage lighting, we’ve worked with 'Innovation Power' in the past so you could try getting in touch with them at www.innovationpower.com Best of luck with your degree! Hi Cody, The power and electrical needs for all of the larger events and festivals including the electricians who look after it all are supplied by contractors rather than hired direct by the organisers and promoters themselves. So the organisers and promoters hire a company to supply their power needs and the company supplies all of the equipment and staff. So your best bet is to contact one of the specialist event and festival power companies. Two of the largest event power contractors in the UK are Innovation Power Ltd and Aggreko Event Services. Try dropping them an email or giving their office a call to see if you can join the team! Best of luck! My name is James Prior, I run a small business supplying event toilets, as an outdoor event I'm sure you are aware of the reputation of the loos that are used at many outdoor events, we attend many of the West Midlands' largest car boots and outdoor events, when there we keep the toilets clean, tidy, and smelling fresh for the use of the general public while your event is in progress. We can also offer soap, hand sanitizers, and hot water. If we can be of any use to V Festival please contact us. Thanks, James. Hi James, PAAM is a staff and volunteer software application used for event staff and volunteer recruitment and management across the UK and Europe. If you'd like to offer your services to festivals and events you'll need to contact them direct. Best of luck! 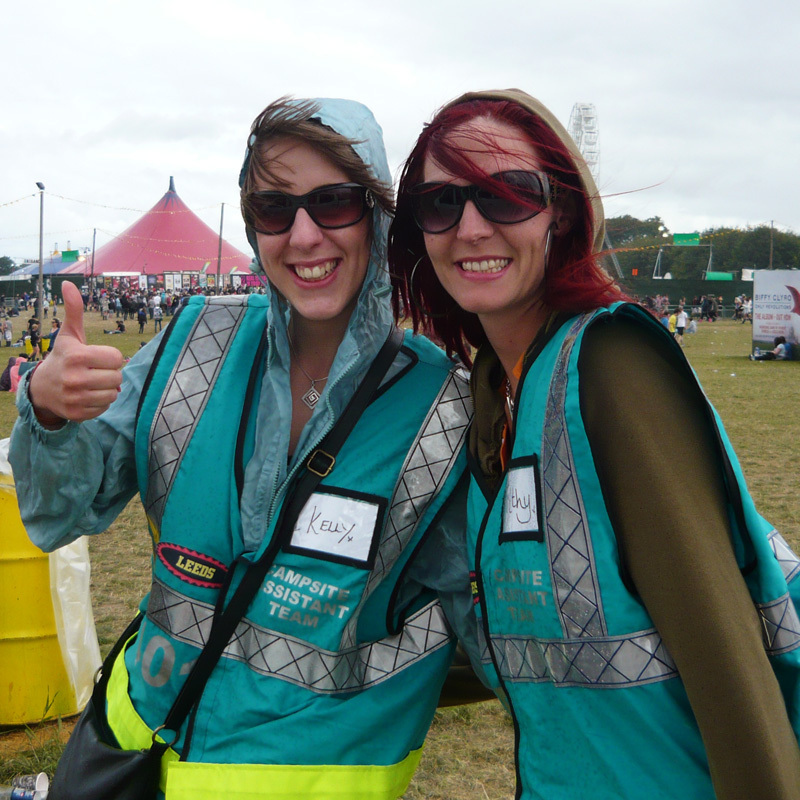 Hi Katie, You could try DC Site Services, they recruit both paid festival staff and event volunteers for Glastonbury Festival. Hope you manage to get a place! HI, I'm currently 20 and studying for a Stage Management degree at Drama School in London. I'd love to shadow someone doing artist liaison/stage or tour management for music festivals. I'm going back home to Cornwall for the summer, do you have any idea on who would be the best company to contact? and if the possibility of shadowing is realistic? Thanks!